Boat Builders experts and enthusiasts. Your ideal boat building partner – CAD design and state of the art boat building, painting, and furnishing facilities. When purchasing a boat you have to keep in mind what will ou prefer doing with it. Are you looking to stay moored up all the time in your Marina of choice or would you prefer cruising the canals as much as possible, maybe with a Constant Cruising License? Whatever the answer, there are plenty of resources to help you out make an informed decision. These helpful guides will show you incredible places to visit with your canal boat in each area, with tips and advice on fun things to do with the whole family, where to stay and how to get there. Do you know which canal you want to cruise but are not sure if your canal boat can go through it? Use this simple guide for the Waterways Dimensions by the Canal & River Trust. Want to order your new boat but not sure about placing the build slot deposit? As we enter 2019, we face this period of uncertainty which can, in some cases, delay house sales. You may be confident your funds will free up but just not 100% sure it will happen on time. On the other hand, if you don’t make a commitment when you need to, you could find yourself without a boat when the time comes. Or worse, what if you placed a deposit but your funds encounter a delay, or your house sale falls through? Do you risk losing your deposit? What to do next? We can help you take the next step with confidence. Our trusted Finance partners can organise the first stage payment to help you, after placing your initial build slot deposit. Or we will simply postpone your build slot, so you don’t lose the deposit on your boat. We start the build at a later date after the funds are with you. Either way, you can move forward with confidence and support. Some people hear the word “finance” and instantly shake their heads. Whether you are worried about finance or have an absolute distrust for finance companies, you still might want to consider the idea of taking a loan to help the purchase of your dream boat. there are no early payment penalties. As soon as the money come in, pay off the rest of the balance and say goodbye to the monthly mortgage payments and finally start living your new life in complete FREEDOM. Follow this link HERE for more details. Here at the Nottingham Boat Company we pride ourselves of the investment we made in state of the art design technology, up to the minute manufacturing equipment, and modern management systems. This empowers our staff with the ability to plan and manufacture high-quality boats. We constantly invest in training, IT, and modern workshop equipment, allowing you to feel more confident while making one of the largest financial purchases of your life. + What makes NOTTINGHAM BOAT COMPANY the best suited company to build your boat? We have over 50 years of experience in building boats AND living aboard. We know what you will need and how to get you there. We will work closely with you to make sure you get exactly what you want, whether you are looking to relocate living aboard or planning new and exciting adventures. + Where can you find us? We are perfectly situated in the centre of UK, at Redhill Marina. We are situated at the junction of the river Trent with the river Soar. Both leading to navigable canals. Our position allows for an easy test of your narrow boats, barges or wide beams up to 72ft with a 14ft beam. Here on site we will be able to lift your boat in and out of the river and onto a truck for transportation. Or better yet, you can sail away directly from the marina. + What are the boats choices? Narrowboats: From 50ft in length and their traditional 6ft10” width, Narrowboats are known for their history as work boats, and their ability to travel almost anywhere in the Inland Waterways. Wide beams: Doubling the width space of a Narrowboat (12ft) Wide beams tend to be used as liveaboards, giving you as much comfort as a regular flat. Barges: They have a bulky look and may look even bigger than most Wide Beams, incredibly spacious, they will make you forget about your life-on-land. Restrictions on rivers and canals locks. You can find all the relative information on the Canal & River Trust website. + How do we work on your boat? With the implementation of CAD (Computer Aided Design), we can offer you schematics of what your boat will look like, allowing you to choose ‘what goes where’. From the planning stages to completion, so you can follow the progress of your boat every step of the way. All you need is an email address and a PDF reader on your PC/device. Give you important information regarding position, method of use, and how to gain access to vital boat equipment. + How does CAD benefit you? CAD is a fantastic piece of computer technology when used by an experienced design engineer. As it is used to produce realistic 3D images of the boat or a product, it allows for any changes to be made prior the actual production. These images will give you a visual feel for the finished boat, boat layout, equipment level, colour, and style before we start manufacturing your boat. Provide an accurate inventory of equipment and furniture for you to use as reference. Let you know exactly what you will get, when your boat will be ready, and how much it costs. Choose, view and approve your own improvements, styles, textures, and colours BEFORE we start working on the boat. CAD drastically reduces the possibility of mistakes, which reduces the possibility of delays, which reduces the chances of disappointment. We will provide you with the 3D schematics. + Where do we work on your boat? Did you know that risk of condensation and or frost will affect the paint and materials at all levels? That is why our workshops and offices are heated using environmentally friendly heating system that uses wood chip from sustainably managed forests. This allows us to paint boats in a dry, temperature-controlled environment. We are proud to be the only company in the industry that greatly invested in a modern approach. We take pride in being unique when it comes to care for the way we build your boat. The warm and comfortable environment also improves our staff’s moral, which in turn raises the quality of their workmanship on your boat. + Where do we start to work on your boat? We use sand blasting to provide a dry, clean steel hull which is a vitally important step before the painting is done. Sand blasting prepares the hull to be smothered in epoxy paint, which has the best adhesive characteristics of any commercial paint and is 100% waterproof. Sand blasting and epoxy paint provide the ultimate protection for your boat and a perfect base for the finishing 2K primer and top coat. Our experience and confidence in the industry, combined with our investment in the latest technology and high-quality materials, has gained us a manufacturer guarantee. You will sail away with a durable marine paint finish to be proud of. + How do we test your boat? We have on-site a 40 tons boat hoist, hydraulic trailer, and heavy-duty slipway that permit us to launch and test your boat. This allows us to check for any faults or risk of failures prior to the delivery to you. After our test and the customer hand over, you will be confident that your boat is ready to be hoisted onto a truck for transportation, which we can arrange for you, or have your boat placed directly in the marina. All is left for you to do is sail away! + What are the choices of paint and final touches? We proud ourselves into being able to offer you a bespoke boat. This means that we will have a range of exterior and interior colours for you to pick from, using the very latest paint technology and high quality durable paints and materials. We pick the best interior finishing by collaborating with great partners. You will be able to choose from a wide range of kitchens, bathrooms, and bedrooms styles. Luxury flooring, wooden internal finishing, and soft furnishing are also provided. As a company we can offer a high standard, bespoke boat. Designed using Computer Aided Design software, we will provide you with 3D drawings and plans enabling you to decide exactly the way you want your boat before we start working on it. + How far can you go with your boat? Most rivers and canals will have you sail at about 4mph, allowing you to take in the beautiful scenery at a cruising pace. You can visit the Canal & River Trust website for more information regarding speed restrictions or canals and rivers limitations. + Where can you keep or moor your boat? There are many places to keep or moor your boat thanks to the many marinas located all over the UK, on rivers and canals. Click HERE for a quick search of available moorings. + Do you need any licence? If you have a boat on the water, you need a license. Even in a marina you need a River only or River & Canal or Canal only license. You can upgrade a River or Canal only to a River & Canal license for short periods of time if you want to go travelling for a short period of time or longer one! A Gold licence from the Canal & River Trust will allow you to live and travel the canals and rivers controlled by the Canal & River Trust. You can also buy or lease your own private mooring. Click HERE for more information about Boat license. Follow this link to apply online for a license. + What else do you need? All boats need to be safe and they must pass a Boat Safety Exam every four years. All our new fully fitted boats come with a valid BSE. You also need current insurance. And with new boats, you need to provide the Craft ID Number, which is issued by the boat builder. + How many people can sleep on your boat? Depending on your own preferences of boat size and your current needs, we can provide you with boats with up to 4 sleeping areas. Each boat description will state the amount of berths and/or beds they have. + How many people can your boat safely host? Regardless of the boat you choose, we always provide our boats with a builders’ plaque which will tell you the carrying capacity, and the number of passengers (including skipper) you are allowed on board without invalidating your insurance. + Is there something you can have in a house but not on your boat? Nope! Any services that you can find inside houses these days, you will be able to find them on our boats. Also, most things can be catered for with extra battery power or mobile WiFi. + What are the running costs of a boat? The running costs for an inland waterways boats are approximately £4,000-£6,000 pa, outside of London. That should include moorings, insurance, and licence. Maintenance, fuel, and heating will depend on usage, with an approximate estimate of £1,000 to £2,000 pa.
+ You have never driven a boat before? Safety comes first. All our boats are built with safety and manoeuvrability in mind. We provide you with user friendly equipment, instructions, and essential training if needed. Even though legally you don’t require a certificate or training to use a boat on the inland waterways, we do recommend to look into a health and safety training prior beginning your adventure. We can advise and/or arrange your training with our collaborators. + Can you actually afford a boat? You have seen our fully fitted boats, maybe you are looking at those few extras that will make your boat just perfect, or maybe you are tempted by the idea of building your own Sailaway. We understand that purchasing a boat has a huge financial cost. You may need financial help to assist you in the decision making, or to decide which extras will benefit you more. We are here to assist you. Our trusted financial partner PROMARINE is always happy and available to discuss options. + How long will it take to assess you for financial advice? 5 minutes on the phone with a financial adviser will be enough to go through your requirements. A personal credit search will be required, alongside 3 months bank statements. A business will be required to supply accounts information. + What will you be asked while speaking to our financial advisor? + After all this, who organises all the paperwork? When everything is green lighted, we will prepare the paperwork for you to fill in and sign. We also have an online Direct Debit form that we can help you complete if you need us to. This enables the finance company to pay for the boat and draw funds from your bank when required. Your boat must be Comprehensively insured always during your finance term. + Are there any TAX advantages? There are tax advantages (VAT free) when you buy a Wide Beam or Barge, but not when you buy a Narrowboat. 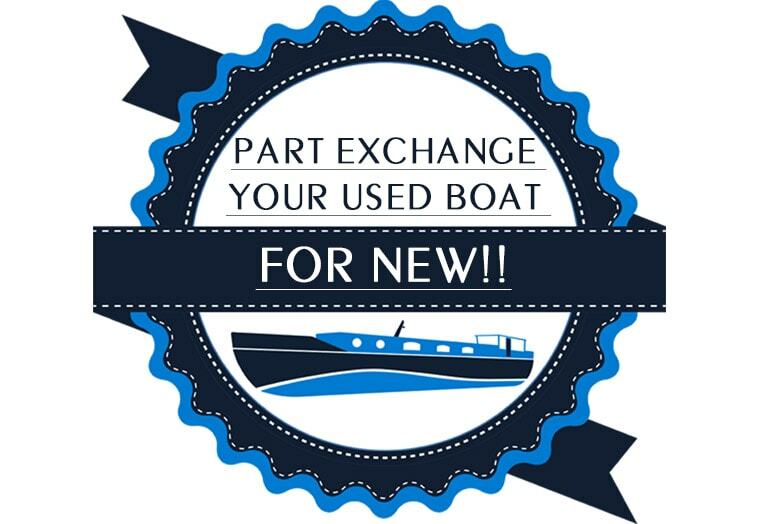 All our boat descriptions will include details regarding VAT and what it takes for each boat to include or exclude VAT. The D measurement is measured from under the top of the gunwale to the base plate. The gross tonnage must be above 15 tons. + How else can we help you? We are always on the phone if you need us, normally 7 days a week during office hours. We have extensive experience in dealing with any issue you may come across after you have bought your boat. Most of these issues can arise as you get used to running your boat, and can be easily dealt over the phone. It is a learning curve after all. If you require more assistance we will come to see you, or we will help you find competent advice to minimise any inconvenience. + Thinking about DIY your own boat? Visit our “sister” website Sailaways.net for more information on Sailaway projects. Sailaways are boats that you can literally build yourself starting from an empty shell. Here at Redhill Marina we will provide you with everything you need through our on-site Chandlery and Sailaway Centre Park. You can benefit of plenty of land storage, workshop storage containers, electricity, and water ON SITE. Plus, there are toilets, moorings, and a good café. + Will you be left on your own? If you buy a boat from us (fully fitted, or especially a Sailaway) WE WILL BE HERE for you. We have 50 years of experience in boat building AND living aboard. This makes sure that we are building your boat (or helping you build your Sailaway) to a high professional standard. Our chandlery has everything you may need, with assembly instructions too. We manufacture and supply-to-retail high-quality, flat-pack furniture kits, specifically designed for boats, here at Redhill Marina. We can advise you with the best options at the best possible price for you, as we strive to get you the best DIY end results in the fastest time. + How does the water system work? The water system on our boats is supplied from a stainless-steel water tank of different sizes. Pressure is provided by a 12v DC or 240v ac water pump through an accumulator tank and transferred throughout the boat using plastic water pipe. Much the same as any household water system. + How is gas housed and powered? The propane gas is supplied from a Gas Bottle supplied by Calor Gas. Then through a gas system to the hob, oven and grill.